Want to receive training at home so you can teach your child new skills? Would you like your loved one to build language and social skills? Struggling with your child’s behavior? LifeLong Interventions is comprehensive treatment for children and adults. It is rooted in the principles of Applied Behavior Analysis (ABA) and involves intensive teaching and training using evidence-based practices to promote appropriate skills and behaviors in the home, school, and community. Clients can be any age and any skill level. LifeLong Interventions is offered in the Triangle, Wilmington, Asheville, and greater Charlotte areas. Treatment plans are created by psychologists in collaboration with Board Certified Behavior Analysts (BCBAs), who first assess each client’s needs. All psychologists and BCBAs operate under the guidance of ASNC’s Clinical Director, Dr. Alexander (Aleck) Myers. Certified Registered Behavior Technicians (RBTs) or Board Certified Assistant Behavior Analysts (BCaBAs) are paraprofessionals who work directly with clients and families in their homes, under the supervision of our LPs, LPAs, BCBAs, and Dr. Myers. How can I pay for LifeLong Interventions? ASNC is an in-network provider for many insurers, such as BCBSNC, Aetna, and United Healthcare. (Employers that cover autism treatment) Children under 21 who rely on Medicaid for support (Medicaid health insurance and Innovations Waiver) are also eligible to receive treatment under the Early and Periodic Screening, Diagnostic and Treatment program (EPSDT). ASNC is an in-network provider with all of the LME/MCOs that manage behavioral health needs in NC. For more information on which services you may qualify for, contact your local LME/MCO using this directory. We also provide treatment through private-pay arrangements. Clinical Department staff are available in some regions to offer strategies that autism self-advocates, parents, caregivers, and professionals can apply to prevent challenging behavior and to teach and reinforce relevant skills. This consultative service may be provided within home, community, or educational contexts. Behavioral consultation reports and formal Behavior Support Plans are created by psychologists in collaboration with Board Certified Behavior Analysts (BCBAs), who work under the guidance of Dr. Myers. The ultimate goal of our consultative service is to empower stakeholders such as autism self-advocates, parents, caregivers, and professionals with evidence-based and relevant strategies that they can apply and maintain to promote optimal outcomes for the individuals they support. Matt has been part of the ASNC Clinical team since September 2014. Matt began his work with people with autism in 2008 with ASNC’s Camp Mountain Adventure, which gave him a passion for working with people with ASD. Matt is happy to be back in the mountains of North Carolina and at the Autism Society. He earned his master’s degree in Clinical Psychology with a concentration in Applied Behavior Analysis from UNC-Wilmington in 2013. Following school, Matt gained experience working across the age range in a variety of settings, including early intervention in homes and clinics, developmental centers, schools, homes, and the community. He has a background in assisting with challenging behaviors and skill development. In his current role at ASNC, Matt provides behavioral consultation and oversees ASNC’s LifeLong Interventions program in the Asheville region. Hannah began working in the field in 2009 while working at a summer camp designed for persons with Autism. In 2015, she graduated with her Masters of Science in Applied Behavior Analysis from Spalding University. Throughout her studies, she gained experience working in a verbal behavior-based center for children with autism, a psychiatric hospital, and home-based services. Upon graduation, Hannah received her BCBA and began working for St. Gerard House. Her role there was to oversee the clinical decisions in the early intervention center, design behavior reduction and skill acquisition programs, and conduct parent and staff training. Hannah is excited to be a part of the ASNC team and to provide LifeLong Interventions in Asheville. Ashley joined ASNC as a Board Certified Behavior Analyst (BCBA) in November 2015. 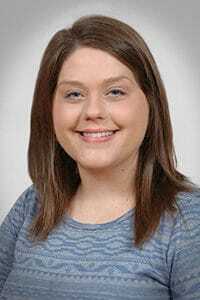 Ashley earned her MS degree in Behavior Analysis and Therapy at Southern Illinois University Carbondale in 2014. During her studies, Ashley gained experience by working in a special-education school with young children and a developmental center with young adults. She then worked as a 1:1 ABA therapist with children with Autism Spectrum Disorder, acquired her BCaBA certification, and earned her certification as a BCBA. She is very experienced in developing evidence-based plans for skill acquisition as well as implementing behavior support plans in various settings. 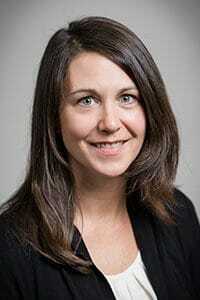 Ashley administratively oversees ASNC’s LifeLong Interventions program in the Charlotte area. Alana is a Behavior Analyst with a Masters of Arts in Teaching with a concentration in Special Education from UNC Charlotte. She gained her passion for autism when she began working with children in college in 2003. After graduation, she taught in a self-contained classroom for students with autism for five years in the Charlotte Mecklenburg School district prior to accepting a position working for their central office on the autism team in 2012. In this role, she supported students with autism ages 4-22 in all educational settings with varying ranges of abilities and functioning in 82 schools. In 2013, Alana began her coursework at Florida Institute of Technology in Behavior Analysis and was certified as a Board Certified Behavior Analyst in May 2016. 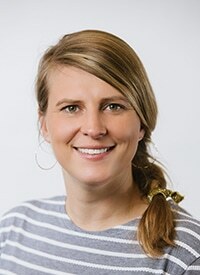 She began consulting as a BCBA in August 2016; her responsibilities included conducting assessments and writing and implementing treatment plans for skill acquisition and reduction of maladaptive behaviors. Alana joined the ASNC Clinical team in June 2017 and will provide LifeLong Intervention services in the Charlotte area. Shiquita began working with people with intellectual/developmental disabilities in 2007 as a service coordinator. She earned her B.A. in Psychology from Winthrop University and later received her M.S. in Clinical Psychology from Francis Marion University in 2011. Shortly after graduating, Shiquita accepted a position as a Staff Psychologist at Murdoch Developmental Center. There she gained experience in writing and monitoring behavior support plans using Applied Behavior Analysis. While at Murdoch, Shiquita worked in multiple cottages, serving individuals diagnosed with varying degrees of intellectual/developmental disabilities and problem behaviors. Her final assignment included responsibilities as psychologist for the specialized programs BART and BART Next Step, which served adult males with intellectual/ developmental disabilities, co-occurring mental health diagnoses, and severe behavioral challenges. Shiquita also provided services throughout all of Statewide Programs at Murdoch as the Special Therapies Coordinator. In her current role with ASNC, Shiquita provides clinical consultation in the Triad, Fayetteville, and Triangle regions. 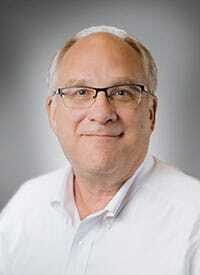 Jim began his career in the field of developmental disabilities in 1975 while completing his B.A. in Psychology at SUNY Binghamton. He earned his Ph.D. from West Virginia University in 1984. 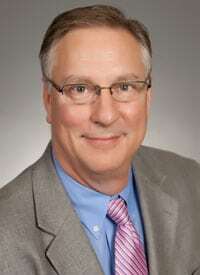 Jim has worked as psychologist at J. Iverson Riddle Developmental Center in Morganton, NC, and then as Director of Psychology Services at Murdoch Developmental Center. During his career, Jim established and served the North Carolina Association for Behavior Analysis (NCABA) and co-authored several publications on staff training and management, teaching adaptive skills, and reducing interfering behavior in individuals diagnosed with intellectual disability. Upon his retirement from the state of North Carolina in 2013, he expanded his work in the field of autism and behavior analysis, adding his professional skills to ASNC’s Clinical Department. Jessica began working with people Autism Spectrum Disorder and developmental disabilities in 1995 as direct support staff. She earned her B.A. in Psychology from the University at Albany and later received her M.A. and Ph.D. in Psychology from Louisiana State University with a concentration in autism and developmental disabilities. While in graduate school, Jessica focused her research on challenging behaviors, autism symptoms in adults, and early identification of autism in toddlers. She completed her pre-doctoral internship at the Kennedy Krieger Institute, Johns Hopkins University School of Medicine, with rotations focused on severe behavioral challenges and feeding disorders. 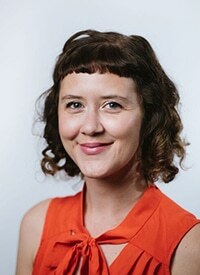 Prior to ASNC, Jessica spent four years at Murdoch Developmental Center as psychologist for the specialized programs STARS and BART, which served individuals with developmental disabilities, co-occurring mental health diagnoses, and severe behavioral challenges. 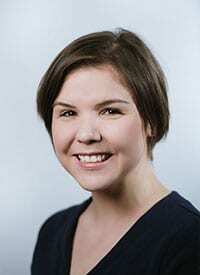 Tanya has been a Psychological Associate for ASNC since April 2011. She earned her B.A. in Psychology from UNC-Chapel Hill and her M.A. in Clinical Psychology from NC Central University. Tanya began her career at Murdoch Developmental Center, where she gained experience in writing and monitoring behavior intervention plans using the principles of Applied Behavior Analysis. Over the past 25 years, she has worked for a variety of agencies including Shigley Family Psychological Services, Autism Services, Inc., and the TEACCH Program. In these settings, she provided psychological consultation to group homes for adults with autism, conducted assessments of young children with developmental disabilities, led structured teaching sessions for families with children or adults with autism, and consulted to classrooms serving students with autism. Tanya currently works for ASNC and the TEACCH Program Carolina Living and Learning Center (CLLC). She especially enjoys working directly with individuals with autism and collaborating with their families. Erica graduated from Salem College with a Bachelor of Arts Degree in Psychology and earned her Master’s Degree in Applied Behavior Analysis from Columbia University, Teachers College. Erica began her career at the Mariposa School for Children with Autism where she served as both an instructor and a Program Coordinator for social skills programs and afterschool one-on-one programs that used the principles of Applied Behavior Analysis. She also developed a track-out program for students with autism and other developmental delays. While pursuing her master’s, Erica worked full-time in a self-contained preschool classroom and an inclusion first-grade classroom that employed behavior analytic principles. In 2013, Erica began working at the Carolina Center for ABA and Autism Treatment as a consultant and later as the Director of Training and Staff Development. During this time, Erica worked with graduate students seeking the BCBA credential. In 2016, Erica joined the Autism Society of North Carolina. As a part of her role, Erica leads several LLI cases and assists in the design and implementation of training initiatives and onboarding for the department’s Registered Behavior Technicians. Melissa has been with ASNC since 2015. She earned her B.A. in Political Science from the University of North Carolina at Chapel Hill. Upon graduation, she worked as the coordinator of a group home for adults with autism. She gained experience in the principles of Applied Behavior Analysis by providing one-on-one therapy as a senior instructor at the Mariposa School for Children with Autism. She then worked in an autism classroom at Wake County Public Schools before joining ASNC’s LifeLong Interventions program as a Registered Behavior Technician (RBT). In this position, she provided intensive in-home behavioral therapy for both adults and children with autism and assisted in training incoming RBTs. In 2016, she presented a poster at the NC Association for Applied Behavior Analysis conference that analyzed treatment efficacy for adults on the spectrum and was awarded for having the Best Professional Level poster. Melissa accepted the role of Clinical Intake Coordinator in January 2017 and is excited to assist and connect with families seeking clinical services. Maggie joined the ASNC Clinical team in 2017 and has worked with individuals with autism since 2008. She received her master’s in Human Services Psychology with a concentration in Applied Behavior Analysis from the University of Maryland, Baltimore County in 2013. 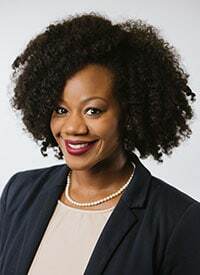 While pursuing her master’s, she worked at the Kennedy Krieger Institute in Baltimore, MD, in the Pediatric Feeding Disorders Unit, where she gained valuable experience in the assessment and treatment of problem behavior, as well as parent training. 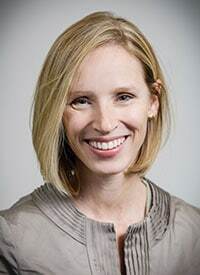 Maggie is passionate about creating evidence-based programming that improves the lives of individuals with ASD and their families and is honored to provide LifeLong Interventions in the Triangle region. Alyssa joined the ASNC LifeLong Interventions team in 2016 as a Registered Behavior Technician and became a Clinical Professional in 2017 after obtaining certification as a Board Certified Behavior Analyst. 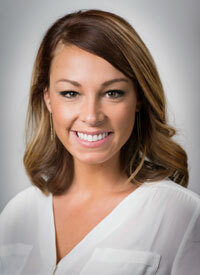 Alyssa earned her Bachelor of Arts degree in Developmental Psychology from Framingham State University and completed her Master of Education degree in Foundations in Behavior Analysis from the University of Cincinnati. Alyssa has worked with individuals with autism and other developmental disabilities since 2011 across residential, classroom, clinic, and in-home settings. She also has experience working as a special education teacher for Johnston County Schools and as a developmental therapist for Cornerstone Family Services, teaching communication, skill acquisition, and behavior reduction goals to children ages birth through three with developmental delays. Alyssa is passionate about working with individuals with Autism Spectrum Disorder and their families, and she is excited to be part of ASNC’s LifeLong Interventions program in the Triangle. Lindsay graduated from the University of North Carolina at Wilmington with a B.A. in Psychology in 2013 and earned her M.A. in Clinical Psychology with a concentration in Applied Behavior Analysis from UNCW in 2017. During her time as an undergraduate, she was exposed to the field of behavior analysis while conducting research focusing on the treatment of pediatric feeding disorders. Her graduate research focused on increasing physical activity in children. She joined the ASNC team as a Clinical Intern in June 2017 and became a Clinical Professional in March 2018 after becoming a Board Certified Behavior Analyst. Through all of these opportunities, she gained experience in assessment and treatment, writing behavior plans, parent training, and data collection/analysis. She is passionate about working with individuals with Autism Spectrum Disorder and is thrilled to be a part of the ASNC team. Maddy joined the ASNC Clinical team in 2018, first as a Behavior Technician and then as a Clinical Professional upon earning her BCBA credential. She received her B.A. in Psychology in 2015 from Appalachian State University, where she worked as a research assistant in the Psychology Department. She went on to earn an M.A. in Psychology with a concentration in Applied Behavior Analysis from the University of North Carolina at Wilmington, completed in 2017. While at UNCW, she continued to pursue research in behavior analysis and also completed a practicum at the university-based Feeding and Behavior Clinic, where she gained valuable experience implementing behavioral treatments for severe food refusal and challenging mealtime behavior. She then completed a clinical internship at J. Iverson Riddle Developmental Center in Morganton, NC, a residential treatment facility for adults with severe-to-profound intellectual and developmental disabilities. While an intern, Maddy had opportunities to develop and implement assessments and interventions for individuals with significant challenging behaviors, skill deficits, and co-occurring physical disabilities, with a major focus on identifying individual preferences and increasing quality of life. 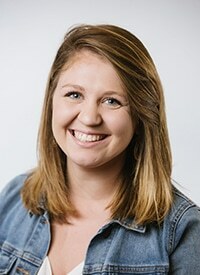 Maddy is thrilled to be a member of the ASNC Clinical team because she is passionate about using Applied Behavior Analysis to improve the lives of individuals with autism and their families. Lesley joined the Clinical Department in September 2018 but has been working for the Autism Society of North Carolina at Camp Royall since 2006, most recently as the Program Director. Lesley is honored to have worked closely with so many campers and families through her years at Camp Royall, in an environment that prioritizes fun while allowing campers to grow and providing families with much needed respite. Lesley is from Scotland and moved to America to work full-time at Camp Royall in 2010. Lesley obtained her certification as a Board Certified Behavior Analyst in 2015. She received her master’s degree in Social Work and Bachelor of Arts degree in Psychology from the University of Edinburgh. Lesley has worked with individuals on the spectrum of all ages since 2004, in residential, recreation, home, and classroom settings. Lesley is passionate about supporting individuals with autism and their families to lead full and fulfilling lives. Merlin began her work with individuals with developmental disabilities in 2011 at a small private school in St. Petersburg, Fla. There, she served as an instructor while working toward becoming a Board Certified Behavior Analyst. After graduating from the University of South Florida in 2015 with a degree in Rehabilitation and Mental Health Counseling, she became the clinical supervisor at a new campus, focusing on increasing independent living skills with teenagers. In addition to her five years working in private schools, she has worked as a consultant with individuals from 2 to 19 years of age with a variety of diagnoses and medical needs. Merlin moved to Raleigh in September 2018 to join the team at ASNC. She is passionate about parent training, supervision, and working with culturally diverse families. 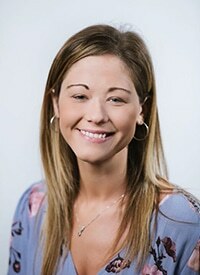 Lindsey began her career as a school psychologist after graduating with a Bachelors of Arts degree in psychology from Michigan State University and a Masters of Education in School Psychology from University of North Carolina at Chapel Hill. Upon graduating, she worked in elementary and high school settings completing psychoeducational evaluations as well as developing behavior support plans. While working for Union County Public Schools, Lindsey obtained her certification in behavior analysis and became the Autism Specialist for the county, providing support to teachers in specialized setting classrooms designed for students with autism. After leaving the public school system in 2015, Lindsey focused her energy on providing ABA therapy and consultative behavior support for individuals in eastern North Carolina as well as continuing to provide consultative support for school systems across the state. 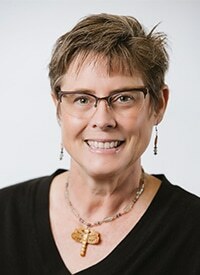 She has extensive knowledge in assessment, developing behavior support plans, and developing and implementing evidence-based therapy programs rooted in Applied Behavior Analysis. Lindsey is excited to continue her journey as a member of ASNC’s LifeLong Interventions program in the Triangle. 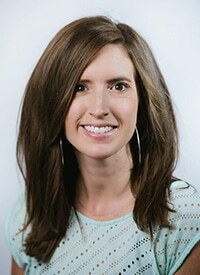 Ryan earned her MA in Counseling from Trevecca Nazarene University in Nashville, TN. She provided outpatient mental health services for three years before being introduced to Behavior Analysis. Ryan quickly fell with love with Behavior Analysis and desired to become competent in the science. Ryan completed her Behavior Analysis training through Florida Institute of Technology and earned her BCBA in 2015. 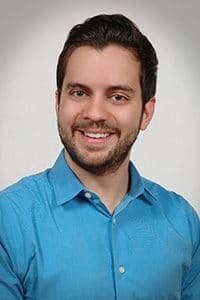 Ryan has experience working with people of all ages and diagnoses, in multiple settings (1:1, in-home, and clinic-based), creating and implementing plans for skill acquisition and problem behavior reduction, and training families and staff. Ryan is excited to join the ASNC community and be a part of developing clinical services in the Wilmington area. Rachel has been working with children with special needs since the year 2000 in both a direct therapeutic and supervisory capacity. She completed her master’s degree at UNC Wilmington in Clinical Psychology with a focus in Applied Behavior Analysis (ABA) in 2010. Since completing her graduate training, Rachel worked as a lead Behavior Analyst for the May Center for Autism Spectrum Disorders in Jacksonville, NC, providing in-home ABA therapy including assessment, treatment planning, behavior support plans, data analysis, parent training, direct therapy, and supervision and training of Registered Behavior Technicians (RBTs). In 2014, Rachel took on the role of Program Director for the May Center; her duties included managing and planning the office budget, overseeing staff scheduling and productivity, managing insurance authorizations, and coordinating the hiring and training of staff. Rachel joined the ASNC Clinical team in June 2017 and is very excited to help lead clinical services in the Wilmington area. Amanda began working with individuals with autism in 2005 as a 1:1 behavior analytic support staff in public schools. She was later hired to work at the New England Center for Children (NECC) in Southborough, Mass., where she served for five years as an Education Coordinator within the intensive day program. While working at NECC, Amanda pursued her master’s degree in special education from Simmons College in Boston and obtained her teaching license. In 2010, she transitioned back to public schools, as the lead teacher in a classroom based on the principles of Applied Behavior Analysis. After relocating to North Carolina, Amanda worked as a registered behavior technician (RBT) at F.A.I.T.H. ABA Consultation and Therapy in Jacksonville. She completed her Board Certified Behavior Analyst (BCBA) coursework through the Florida Institute of Technology, and joined the Autism Society of North Carolina as a BCBA in March 2018. 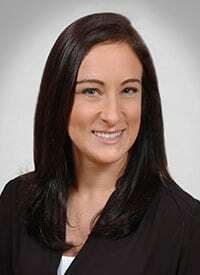 Amanda is excited to join the ASNC team and serve individuals in the Wilmington area. Lea earned her master’s degree in Clinical Psychology with a concentration in Applied Behavior Analysis (ABA) in 2016, and is a Board Certified Behavior Analyst (BCBA) as well as a Licensed Psychological Associate (LPA). She completed her graduate internship at the May Center for Autism Spectrum Disorders, a nonprofit organization providing in-home ABA therapy in Jacksonville, NC. In addition to her hands-on training as a clinician, her current practice is influenced by her scientific knowledge of behavior analysis. For six years during her undergraduate and graduate schooling, Lea engaged in behavior analytic research, including experimental and applied. She uses her skills in research to seek out unique, evidence-based strategies to address specific skill deficits and problem behaviors. After completing her graduate training, she became a Behavior Analyst at the May Center, where she was responsible for conducting assessments, planning treatments, creating behavior support plans, analyzing data, and providing direct therapy. In addition, Lea has experience with the supervision and training of Registered Behavior Technicians (RBTs), as well as parent consultation and training. Lea joined the ASNC Clinical team in July 2018 and is very excited to provide care to the Wilmington community.